Henry Ford once famously stated, “Anyone who stops learning is old, whether at twenty or eighty. Anyone who keeps learning stays young. The greatest thing in life is to keep your mind young”. This belief is embodied by Bob Leong, 84 years old. Bob is known as the ‘computer king’ amongst his friends, as he helps them to install software and resolve technical issues. He is also able to construct a CPU in 15 minutes, a remarkable feat that not even most of the youths today can accomplish. 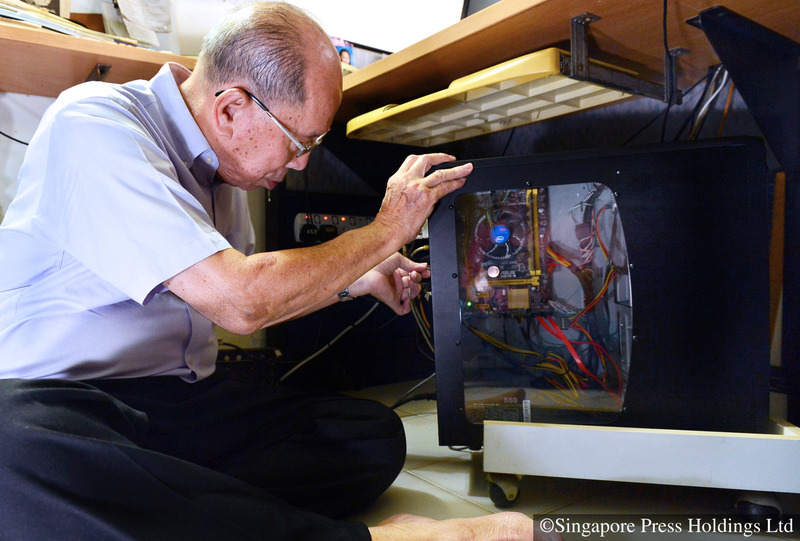 Bob is able to do so because he attended the “Computer Maintenance" course conducted by ITE under the National Silver Academy (NSA). His classmates range from the age of 18 to 80, and he feels great about going back to school. He decided to sign up for the intermediate level course despite having to learn everything about the internet and computers from scratch in the past. Far from being at a disadvantage, he gives advice to his classmates who are in their 60s and 70s. Bob is deeply passionate about learning, and even having suffered from a stroke did not stop him in his learning tracks. He believes that as long as a person thinks positively and is willing to adapt to changes in life, they can learn at any age. On top of his interest in computers, Bob also keeps an eye out for latest practical technologies. He never fails to visit IT fairs in order to keep abreast of the latest technologies. Now, he even can use his smartphone help control his TV at home. Advances in technology have beneficial effects compelling one to learn and to keep one’s mind active. Bob is an example of how a person can never be too old to learn. He hopes that more people will be willing to try to learn something new because the process can be very rewarding! **Special thanks to Mr Bob Leong who accepted our interview, we wish him all the very best in his lifelong learning journey. **Photo Credits: The Straits Times © Singapore Press Holdings Limited. Reproduced with permission.